There is information about visual management and monitoring of SQL Server Service Broker in What's new of 10.1 version. But i can't find it. Where is it? May I ask which specific version you are running? 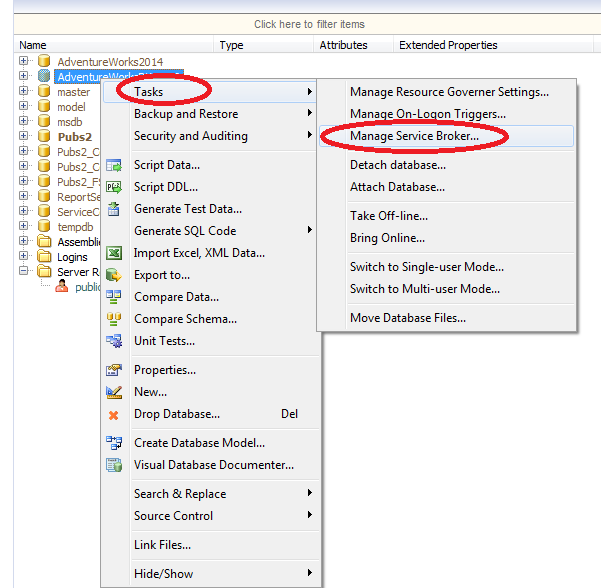 To access the management dialog, use SQL Assistant SQL Editor, right-click the database, and then select Tools -> Manage Service Broker menu. Thank you! Now i see Service Broker menu item. But can you make nonmodal form with resizing? We have a lot of broker's queues, services, contracts and etc. We're actually planning on making all management dialogs resizable, it's in the planned enhancements queue already, but I cannot provide a specific ETA yet for when that will be available.